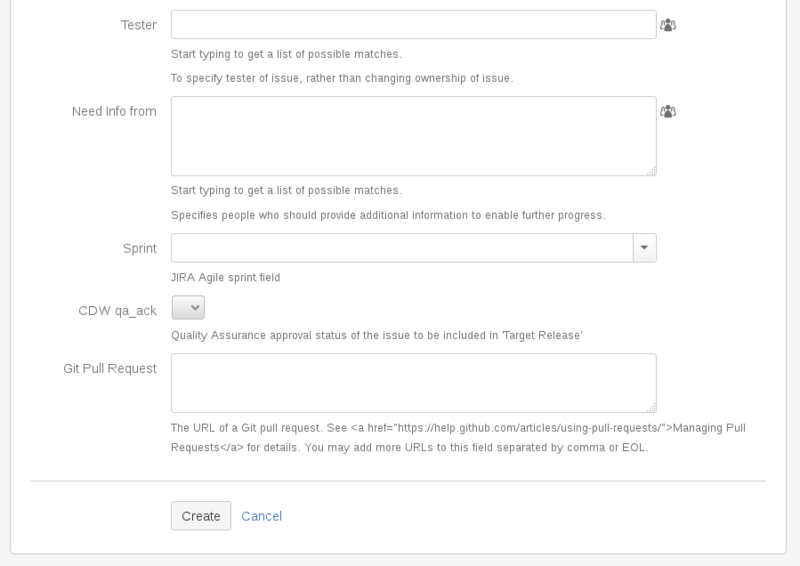 In the latest version of CDW plugin for Jira (0.9.21) we implemented the feature that enables project administrators to set a default tester for each component of the administered project. In the project administration, the user with admin privileges for the project selects the Component Testers tab leading to the feature UI. There for each component of the project the administrator can insert a username of the user that will be used as a default tester for the component. User picker (icon near the Default Tester input fields) can be used to find a specific user by their email or full name. 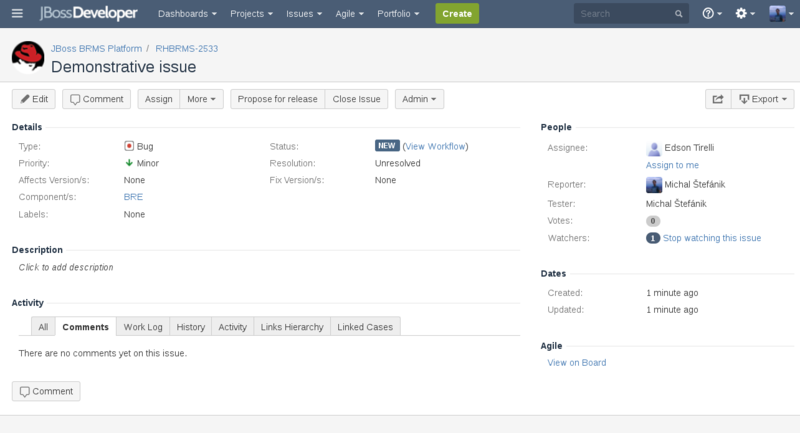 Then, once the tester for the components are set in the admin interface of the project, each newly created issue that has the component assigned and no tester set will get assigned this default tester. 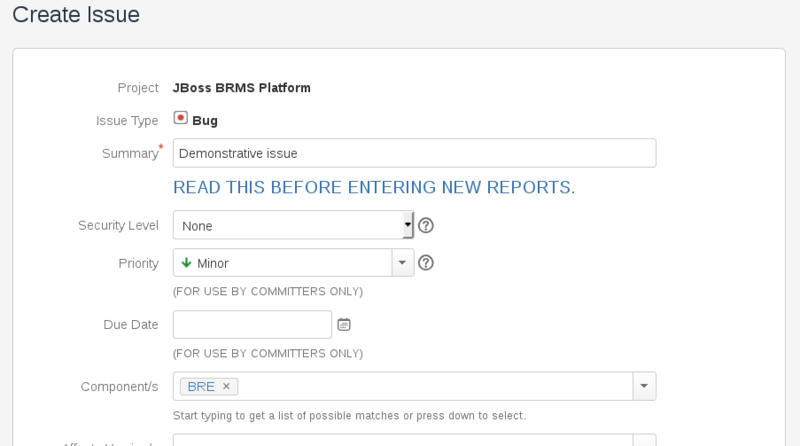 Note that to trigger this functionality, exactly one component and no tester must be set in newly created issue. If more, or no components are set or the tester field is filled on creation, the value of tester field will remain as at the issue creation. 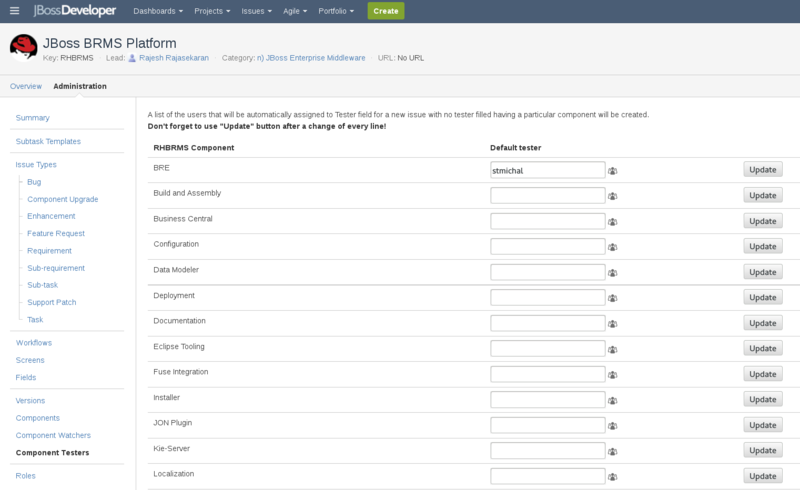 See that the tester in newly created issue was filled according to the preferences set in the project admin UI. Hope the feature will help some!